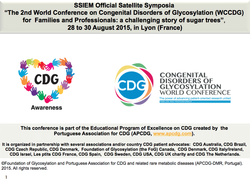 ​Note: This is an event initiated by the Portuguese Association for CDG (APCDG). Our non-profit organisation, relies solely on donations in order to continue our projects. If you would like to see more projects like this, please consider to donate in the Get involved section of our website. De forma a que o seu registo seja considerado VÁLIDO, por favor, envio o comprovativo de pagamento do valor da inscrição para rita.francisco.28@gmail.com. Os dados bancários encontram-se abaixo. To make your registration VALID, please send receipt of your fee to rita.francisco.28@gmail.com. Find bank data below. 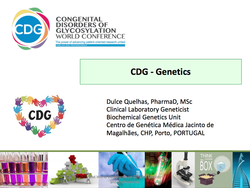 Workshop dedicated to CDG will be held in the Faculdade de Ciências e Tecnologia (FCT), Universidade NOVA de Lisboa during the World CDG Awareness Day 2017 celebrations (May 16th). .Registrations for the Workshop "How Patient Centricity shapes the Future of Healthcare in Portugal: Results from CDG & Allies - PPAIN! "- Caparica, Portugal HERE. They are FREE of charge. 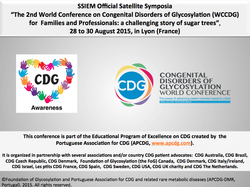 ​Note: This is an event initiated by the Portuguese Association for CDG (APCDG). Our non-profit organisation, relies solely on donations in order to continue our projects. . If you would like to see more projects like this, please consider to donate in the Get involved section of our website. 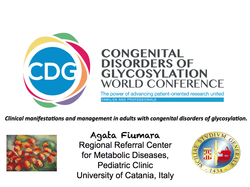 We deeply acknowledge, all speakers from the 2nd World Conference on CDG, for sharing their knowledge and slides. 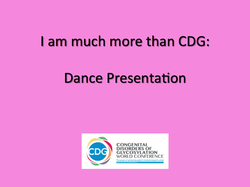 All our work is publicly available to help the CDG community. Importantly, our educational resources are done by professionals and volunteers. If you use these CDG tutorials, please refer http://www.apcdg.com/education.html as source of information. This, help us to ensure that families and professionals know the original source of information. Additionally, we are constantly updating the information, thus by referring http://www.apcdg.com/education.html all community will be receiving updated information. THANKS! Centre for Metabolic Diseases, University Hospital Gasthuisberg Leuven, Belgium. Unraveling neurologic aspects from a cross-sectional study. Child Neurologist and CIBERER researcher at the San Juan de Déu Children's Hospital, Barcelona, Spain. Chair of the Division of Child and Adolescent Neurology at Mayo Clinic and Professor of Neurology, Pediatrics and Medical Genetics at Mayo Clinic College of Medicine, USA. The cerebellar involvement in CDG. Department of Pediatrics - Child Neurology University of Catania, Catania - Italy. 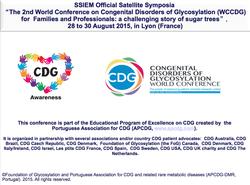 ​Early Results from the Clinical and Basic Investigations into Known and Unknown CDG’s, the USA experience. MS, CRNP Associate Investigator Undiagnosed Diseases Network, USA. The major clinical findings concerning the skin manifestations in CDG patients. Centre for Human Genetics, University of Leuven, Leuven, Belgium. Diagnostic approach and proposed management. Institute for Genetic and Metabolic Disease, Radboud University Nijmegen Medical Centre, Nijmegen, Netherlands. Centro de Genética Médica Jacinto de Magalhães, Porto, Portugal. Strengths, weaknesses, and the road forward. Towards the structural analysis of aberrant glycosylation: Focus on CDGs. 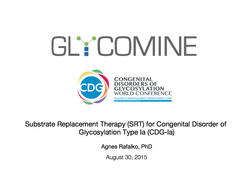 How can a genetic counselor help CDG families? 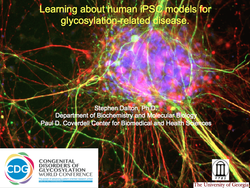 Lessons from the Undiagnosed Diseases program. ScM, GC Associate Investigator Undiagnosed Diseases Network, USA. 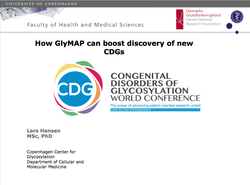 How GlyMAP can boost discovery of new CDGs? Helping siblings when a brother or sister's has special needs. Psychology department, Université de Rouen, France. Ireland& Italy CDG patient advocate & mother. Addressing the needs of the community. How liver transplantation changed my life? 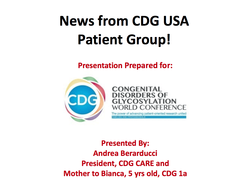 News from CDG USA patient group! CDG USA patient advocates & mother. Dancing at the hands of Morgan Webb Liddle. 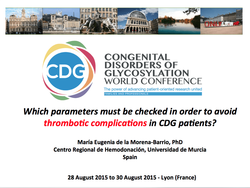 Which parameters must to be checked in order to avoid thrombotic complications in CDG patients? Centro Regional de Hemodonación, Ronda de Garay, Universidad de Múrcia, Spain. Clinical manifestations and management in adults with congenital disorders of glycosylation. Associate professor, pediatric clinic, University of catania, Italy. 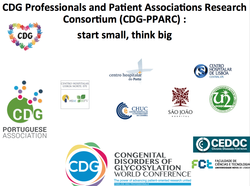 Portuguese Research Network of Professionals and Patients Association for CDG: start small, think big. Assistant Professor, Medical Sciences Faculty, Chronic Diseases Research Center, Lisbon, Portugal. 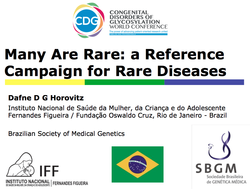 Many are rare: a reference campaign for rare diseases. Medical genetics at Instituto Fernandes Figueira, Brasil. Department of Biochemistry and Molecular Biology, University of Georgia, USA. 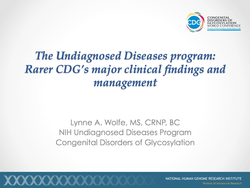 ​Rarer CDG’s Major clinical findings and management. 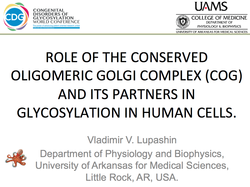 Role of the Conserved Oligomeric Complex (COG) and its partners in glycosylation in human cells. University of Arkansas for Medical Sciences Department of Physiology and Biophysics, USA. 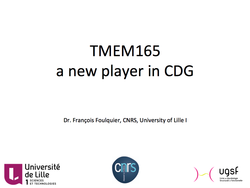 TMEM165 a new player in CDG. Unité de glycobiologie structural et fonctionnelle (UGSF), CNRS/Université Lille, France. 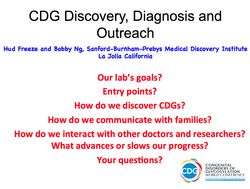 CDG Discovery, Diagnosis and Outreach. 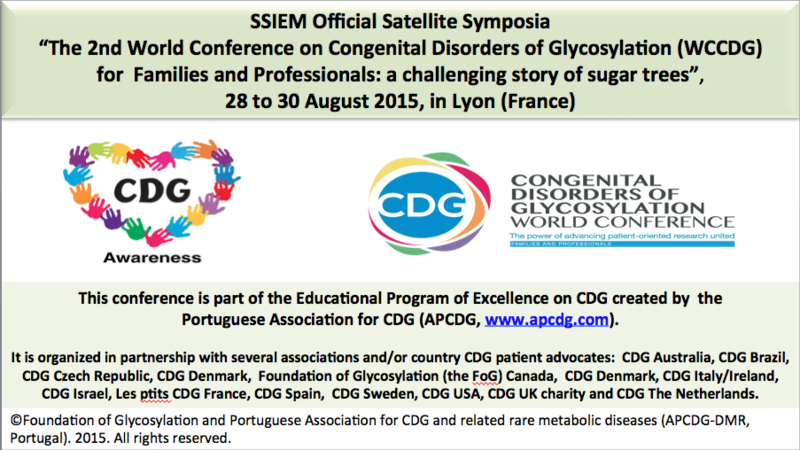 Director, Genetic Disease Program; Professor of Glycobiology, Sanford-Burnham Medical Research Institute, USA. 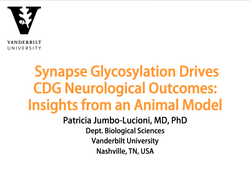 Synapse Glycosylation Drives CDG Neurological Outcomes: Insights from an Animal Model. Postdoctoral Research Scholar, Department of Biological Sciences, Vanderbilt University, Nashville.USA. Structural Biochemistry Laboratory, Centro de Investigación Príncipe Felipe, Valencia, Spain. 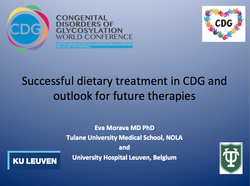 Successful dietary therapy in three CDG types and outlook for future therapies. Professor in pediatrics, Tulane University Medical School, USA. 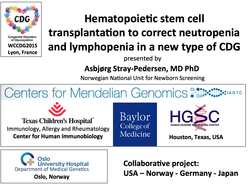 Hematopoietic stem cell transplantation to correct neutropenia and lymphopenia in a new type of CDG. 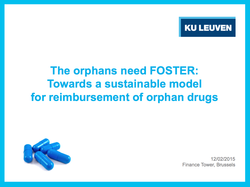 A foster plan for the orphans. Department of Hepatology and Metabolic Center University of Leuven, Belgium. 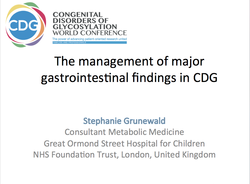 The management of major gastrointestinal findings in CDG. Consultant Metabolic Medicine at Great Ormond Street Hospital for Children NHS Foundation Trust, London, United Kingdom. Copyright © BIOcomuniCA'T. 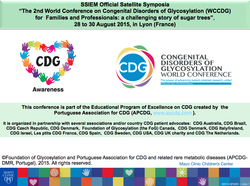 "First World CDG Conference", an event coordinated by the Portuguese Association for CDG in partnership with associations and/or country CDG patient advocates. Videos sponsored by FoG (Canada). All rights reserved. 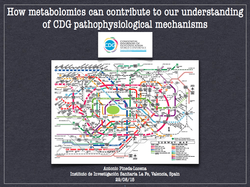 In full collaboration between CDG patient advocacy groups and the Center for Metabolic Disease, University Hospital Gasthuisberg. We successfully organised several events with a national, regional and international scope.